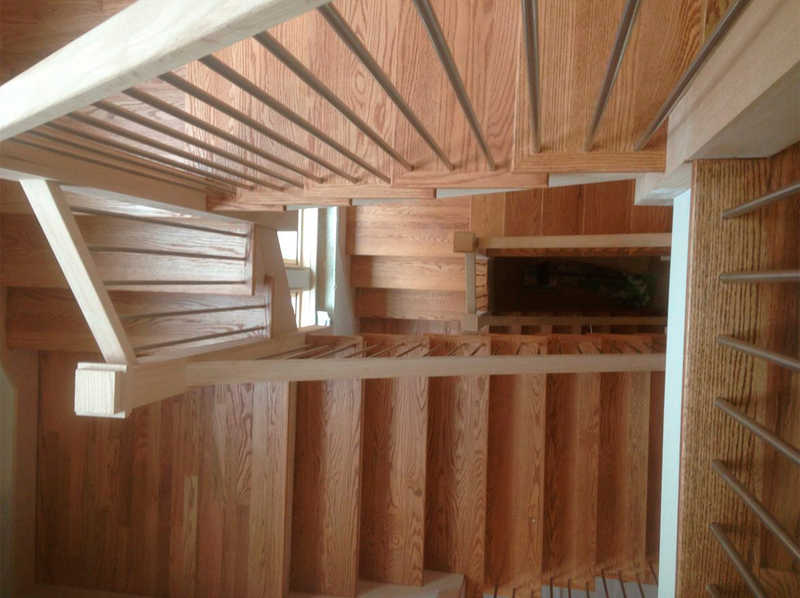 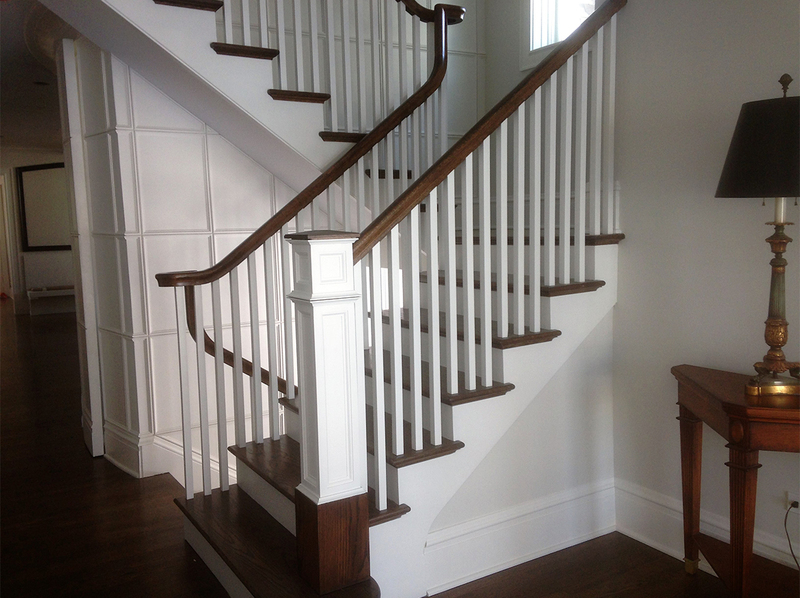 Custom designed white oak stair with three inch thick treads. 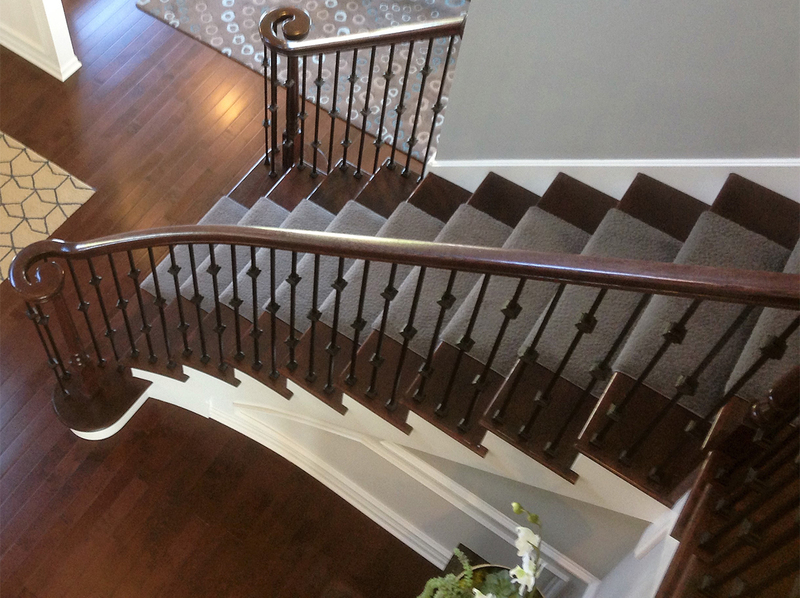 Hand carved rail fittings with straight iron balusters. 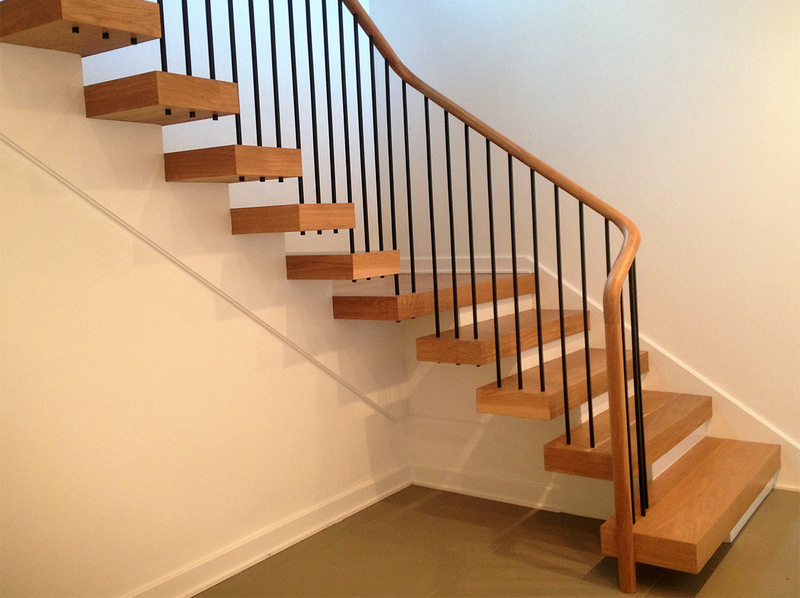 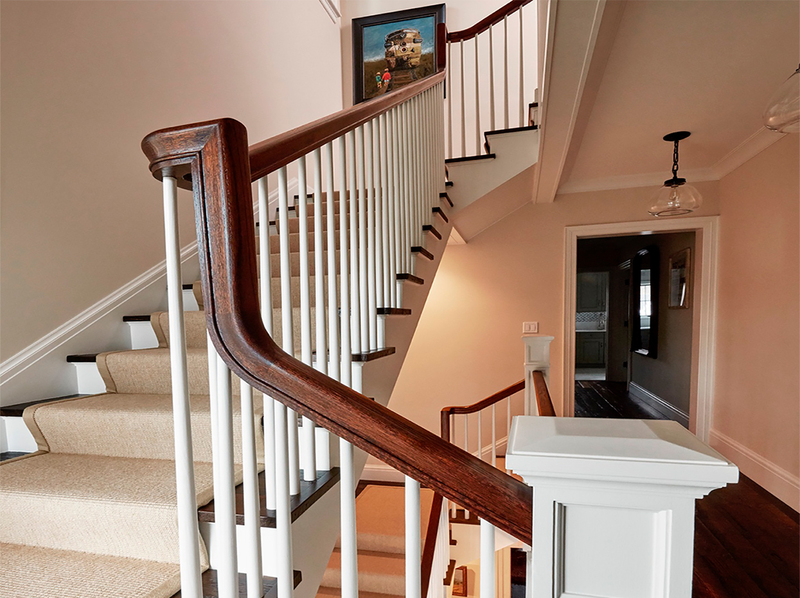 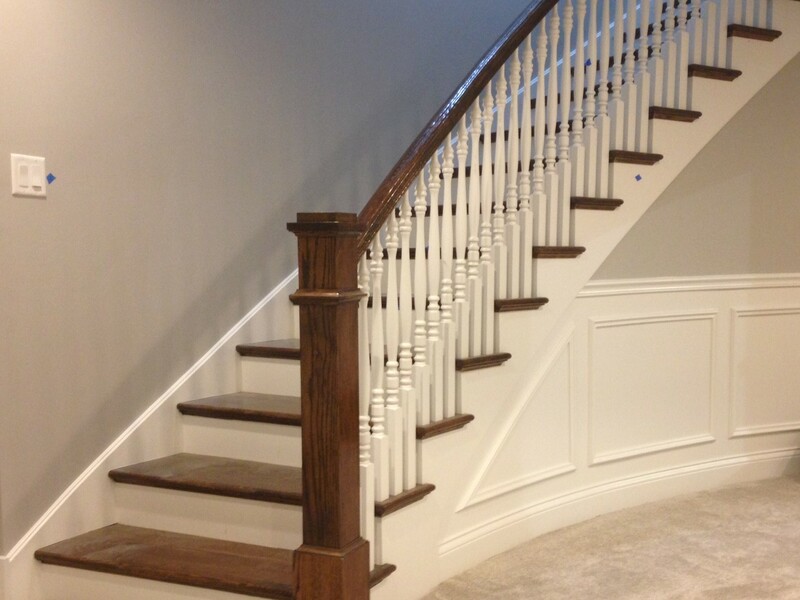 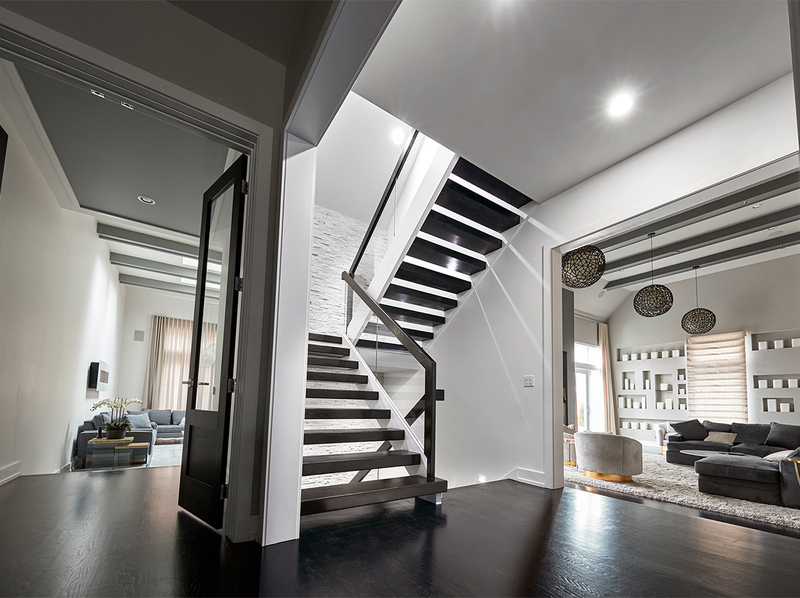 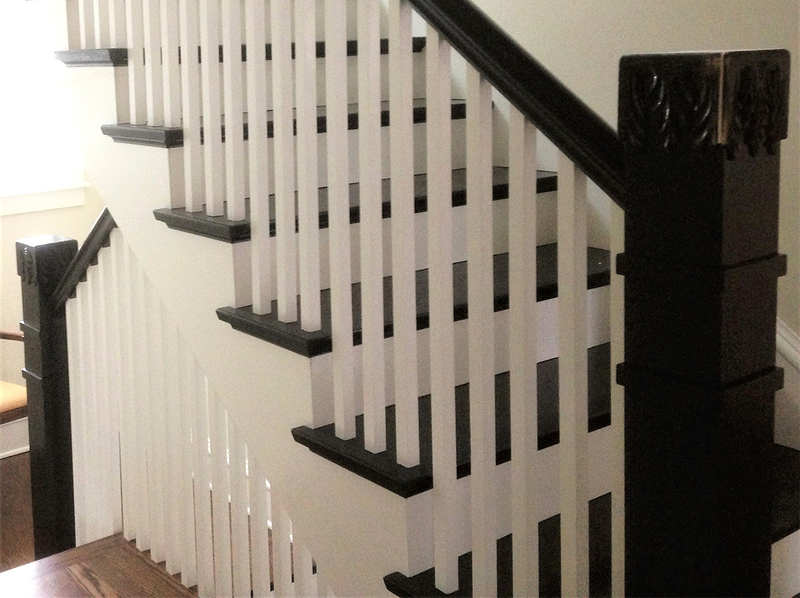 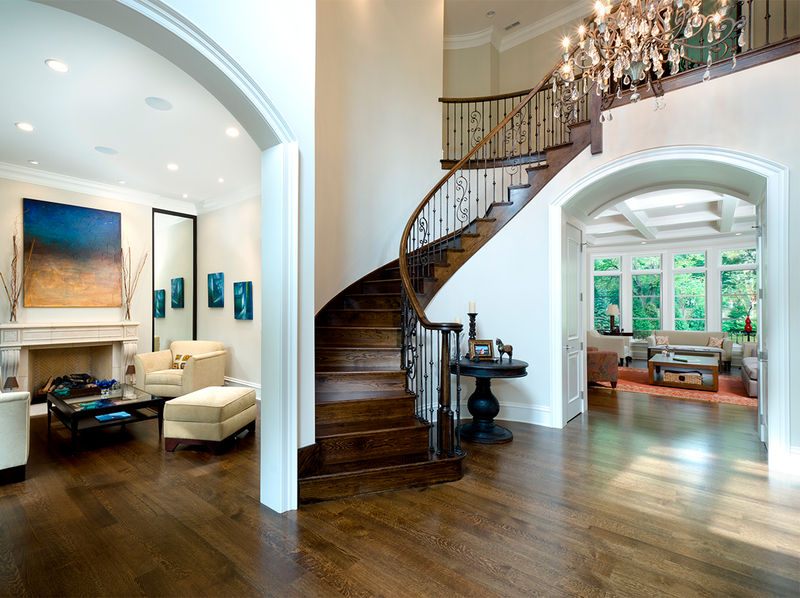 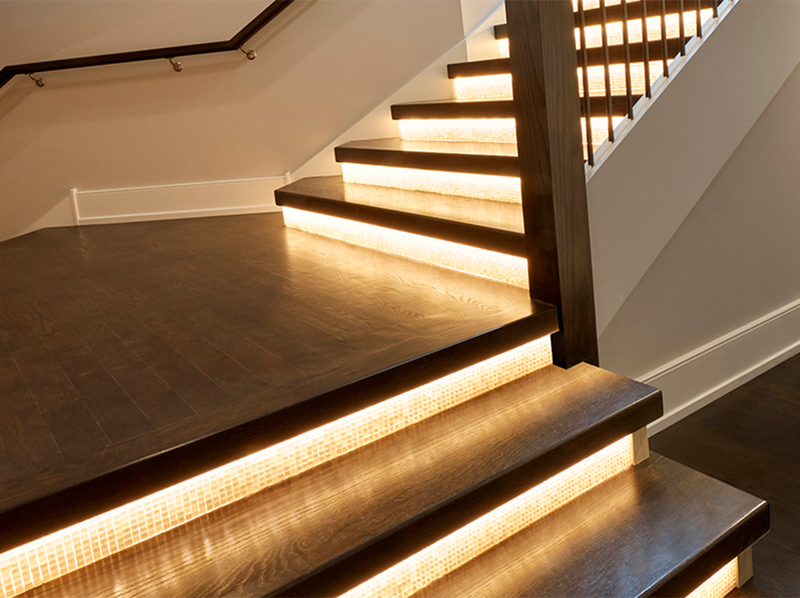 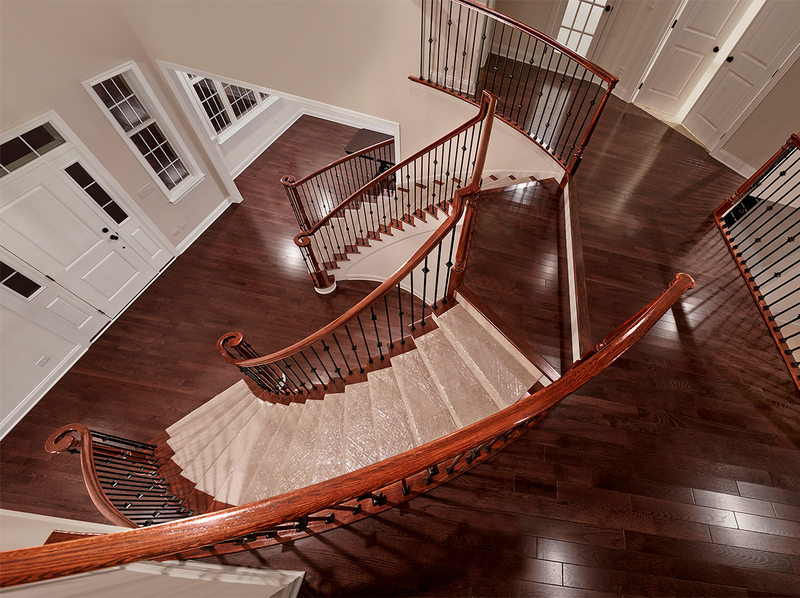 RNF Stairs and Rails Inc. - With over 30 years of experience, RNF Stairs and Rails Inc. is committed to building perfectly crafted staircases, while providing exceptional customer service.